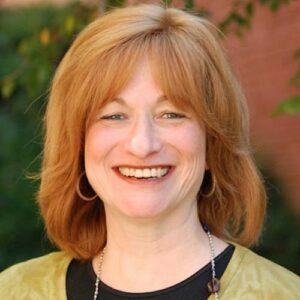 If you have made your way to this page, you must be considering Charlotte Jewish Day School for your child. Is it because you want your child to have the opportunity to go to school in a Jewish environment and be familiar with her heritage, culture, and religion? Is it because you want your child to go to a small school where everyone there will know your child, love your child, and will respond to his needs before you have a chance to even ask? Or is it that you heard that the academic excellence that is offered at CJDS is legendary? Is it because you know that if your child is ready to move on in a given area, she will have the opportunity to pursue her interests, strengths, and shine? Or is it simply that you heard that at CJDS, the joy of Judaism is palpable throughout the day and you want your child to experience what you never had? It is all true. The children that attend our school are treated as our own. 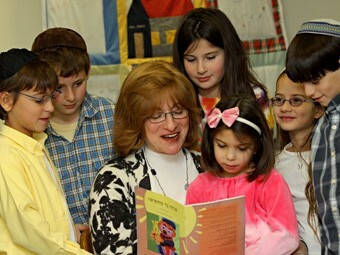 It is also true that our children graduate from CJDS with a pride in Judaism that is unrivaled. Our graduates wistfully express sadness at missing holiday celebrations at school. The academic accomplishments at the school are so successful that our students are accepted at private schools across the city with enthusiasm. All you need to do is visit – walk in the lobby and into some classrooms – and you will not want to leave. Children engaged in their studies and taking charge of their progress is what 21st century learning is all about. Encouraging creativity, use of technology, and demonstration of leadership is how we prepare children for the next steps in their lives. The smiles on the children’s faces and the real “from the mouth of babes” comments about how the kids feel about the school are all you need to hear. When a child gets angry at his mom for picking him up one hour early for a doctor’s appointment because he is missing an hour of class, I know we are doing something right. When a teacher arranges to switch carpool spots so she can be the one to take a certain child out of the car because she knows that he needs to start the day with a hug from her, I know we’re doing something right. When a child reminds her mom to say the Shma before she goes to sleep, I know we’re doing something right. We are preparing Jewish children to be Jewish leaders in the world! What greater or more awesome responsibility can there be? We have proven that we are up to the task.